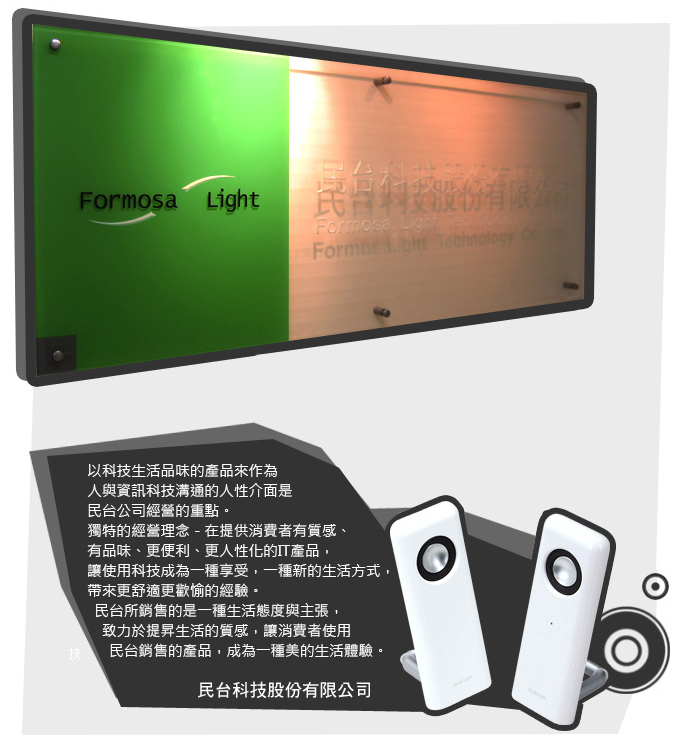 human and information technology is the key point operation for Formosa Light Company. 民台科技股份有限公司 Formosa Light Technology Co., Ltd. Copyright © 2006-2019 www.elecom.com.tw All Rights Reserved.